Cleath-Harris Geologists provides groundwater level, quality, and production monitoring programs for agency/client area-wide networks. Monitoring programs involve both automated sensors and manual data collection methods. Frequency of measurement and distribution of data locations are proscribed based on the needs of the client and cost-effectiveness. 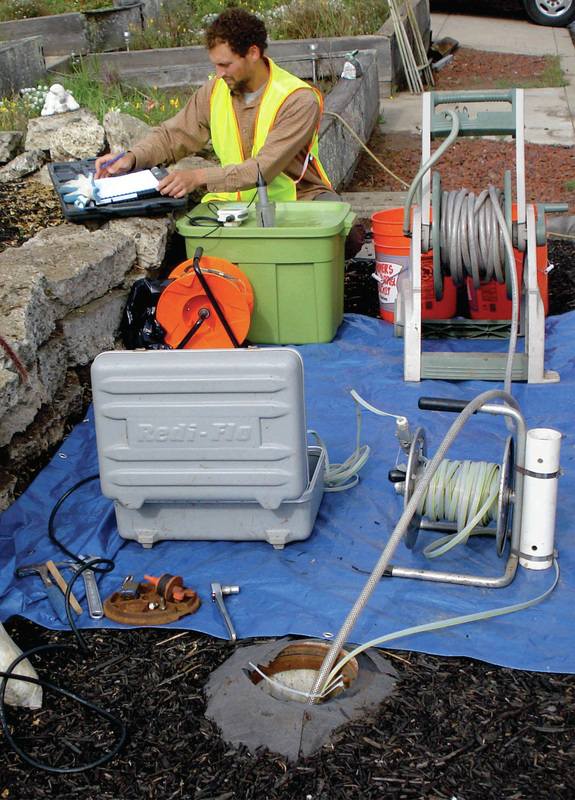 We maintain portable stainless steel sampling pumps, well sounding equipment (including pressure transducers), and water quality monitoring equipment. For most projects, our monitoring equipment is provided at no extra charge when used with our monitoring services. We actively monitor over 45 wells on a monthly basis in San Luis Obispo County, and provide data collection, analysis, and reporting for all our monitoring programs. Cleath-Harris Geologists has developed and implemented numerous waste discharge order monitoring programs that have been accepted by Central Coast Regional Water Quality Control Board staff. We are experienced with public outreach and enlisting homeowner participation in voluntary monitoring programs. We work closely with our clients to ensure that they are meeting applicable requirements for schedule, reporting, and impacts mitigation.